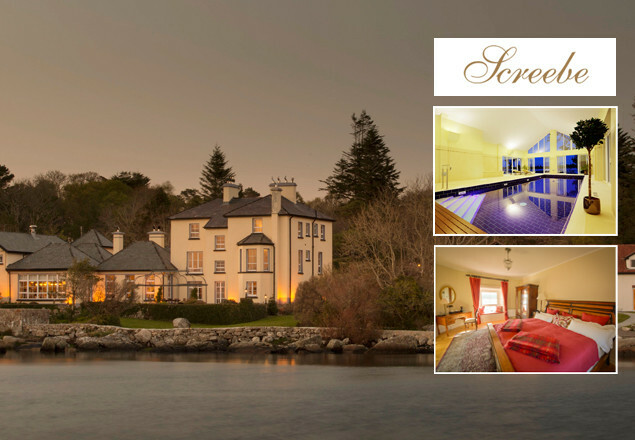 Exclusive 2 night stay at Screebe House in Connemara for two people with breakfast, dinner and more. 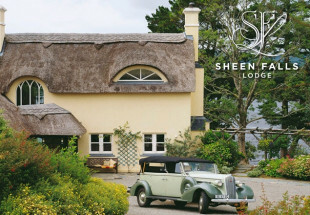 With this week’s offer from Rewarding Times we are offering you a luxurious two night stay for two in a deluxe room in the beautiful Screebe House, in the heart of Connemara, for only €285. Included in this fantastic two night offer is champagne on arrival and a four course dinner with a bottle wine on the night of your choice. Enjoy a full breakfast both mornings, a gift on turndown, a complimentary copy of The Irish Times each morning and a late check out until 2pm. Sympathetically restored in 2010, Screebe is one of Ireland’s finest Victorian Country Houses. It offers unparalleled tranquillity in a beautiful setting. Enjoy the best Connemara has to offer with breath taking scenery and seaside walks as well as superb hunting and fishing on site. Enjoy a revitalising treatment in their exclusive Spa Lodge and relax in the sauna. Afterwards why not curl up with a book by the open fire in the living room or sample their own Screebe House triple-distilled Irish whiskey? Follow it with a meal in their spectacular dining room overlooking Camus Bay, expertly prepared by Chef Trevor Down and featuring the best of local and in-season produce prepared to perfection. All their rooms are tastefully furnished with antique interiors and original period features. 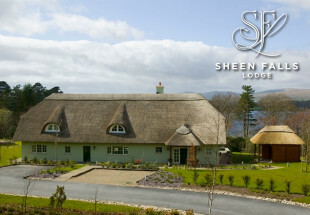 Accommodation consists of eight bedrooms in the House itself as well a further two bedrooms in the Spa Lodge. All rooms are en suite with underfloor heating in the bathrooms. For the special offer of just €285, come and experience for yourself what makes Screebe House so special. Strictly only 150 vouchers available. Vouchers are valid from June 1st to November 30th 2015 inclusive. Vouchers are valid weekends and midweek but please note there are only 10 rooms in this exclusive Victorian house. Vouchers are for two people sharing. 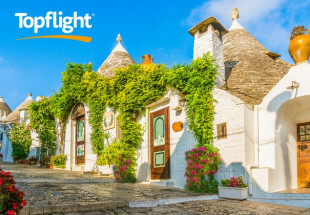 Offer includes breakfast both mornings, 4 course dinner on one evening, bottle of wine, glass of champagne each on arrival, copy of The Irish Times, gift on turn down and a late check-out. Saving based on information provided by Screebe House as of offer start date.